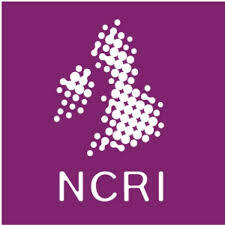 Health Status Screening in Elderly Patients – Is this the Way Forward? The rapid ageing of the European population poses a challenge for healthcare systems. The incidence of cancers will rise as the number of adults aged 65 years and older increases. Moreover, the health status of individuals in this age group is diverse, and thus requires modern oncology to apply an individualised approach to treatment. There is a clear need to develop and validate health assessment tools enabling the identification of specific geriatric issues which might be overlooked by standard assessment methods. The Comprehensive Geriatric Assessment (CGA) is the ‘gold standard’ for geronto-oncology assessment. However, the complexity of this test has stimulated a search for pre-screening methods able to identify individuals with the potential to gain most from full pre-treatment CGA. Such tools consist of specific tests to evaluate health status in the important functional, psychological, social and cognitive domains. The choice of which tests are best to use within the various screening tools is still a subject of debate. This paper presents a review of the most commonly used tests within various health status domains as well as of the most valuable screening tools. At the same time, however, the outcomes of treatment of elderly patients suffering from cancer are far from satisfactory. This may be because patients who are over 75-years-old are underrepresented in the group of patients treated aggressively with radical intent. A good illustration of this was described in a study conducted by Aparicio, which revealed that 52 % of elderly patients diagnosed with colorectal cancer had sub-standard cancer treatment, especially with regard to adjuvant therapy.3 Bastiaannet et al. found striking differences in the relative survival rates of elderly breast cancer patients by comparison with younger patients.4 Lunbrook oberseved a similar situation in the treatment of small cell lung cancer: only 40 % of patients aged over 75 years were treated with radical chemoradiotherapy compared to 86 % of patients younger than 65 years.5 This situation has been confirmed in an analysis of relative risk survival in elderly cancer patients, which detected reductions in survival rates with increasing age for most cancer sites.6 Moreover, the under-representation of older patients in clinical trials makes treatment databases incomplete and makes it impossible to assess the potential for individualised treatment of older patients. This creates a number of difficulties when using evidence-based medicine recommendations and decision-making tools such as Adjuvant! Online, which are reliant on treatment results from large groups of patients which may not include seniors. The individualisation of treatment is particularly important for patients aged 70–85 years, whose state of health can be very variable. There are no precise definitions of the stages of aging, and date of birth alone clearly cannot be regarded as a sufficient criterion. Some patients may undergo radical treatment with no modifications in therapeutic protocols; however, more vulnerable patients might only tolerate individualised palliative treatment or best supportive care. For some senior patients the situation is more complicated, as despite having a good performance status before treatment, their physiological reserves may be exhausted, homeostatic balance disturbed and their health deteriorate during treatment. An overview of the most relevant tests in particular health status domains is presented below. The instruments most frequently used to assess functional condition are the Katz basic activities of daily living (ADL) scale15 and the Lawton–Brody instrumental activities of daily living (IADL) scale.16 These tests analyse the person’s functional performance both in the home – washing, getting dressed, moving around – and outside the home – finances, transportation, shopping, using telephone, etc. They also assess the person’s degree of independence. It is recommended that these tests are repeated annually for cancer patients, because they detect gradual changes in daily functional performance not detected by standard performance status evaluation tests (e.g. Eastern Cooperative Oncology Group [ECOG] performance status) even in patients with a good status. The Timed Up Go (TUG) test is used as a frailty marker. It measures the time taken in seconds for a person to get up, walk 10 feet, turn back, walk back and sit down.20 The simplicity of the test encourages its inclusion into a minimal geriatric assessment process. Ageing triggers widespread changes in processes affecting both lifespan and the body’s physiological reserves. Moreover, cancer itself negatively impacts an organism’s biological status. An assessment of physiological status is therefore extremely important when planning tailored treatment for older patients. Between 12 % and 20 % people aged over 65 years experience symptoms of depression.30 Among the sequelae to depression are lack of appetite – which in turn leads to malnutrition – and poor compliance with treatment – because depressed patients are less motivated to undergo treatment. A frequently-used test for assessing depression is the Hospital Anxiety and Depression Scale (HADS).31 Other tests include the Geriatric Depression Scale (GDS), developed by Yesevage as a 30-item scale,32 and the distress thermometer, which is composed of simple questions, answers to which form the basis of which likelihood of depression can be determined. This is directly linked to numbers of co-morbidities. The average number of medications taken by seniors is six and the trend is for this to increase.7 Often the number of drugs taken is too high, which can be significant in the context of oncological treatments because one therapy may intensify the toxicity of another and produce adverse drug reactions. The Beers list, which contains information on drugs which are potentially toxic for older patients,33 and the Medication Appropriateness Index (MAI), may be useful measures of appropriate prescribing and optimal pharmacological treatment. Reducing the number of medications taken by the patient is often the first action of a geriatrician before initiating treatment for cancer. A decrease in cognitive function is linked to the stages of ageing. Approximately one-third of elderly patients experience cognitive disorders, and dementia and delirium are the most frequently-reported dysfunctions in seniors with cognitive disorders. According to Plassman et al., dementia affects 25–48 % of patients aged over 80 years.34 Dementia can result in decreased compliance with treatment regimens.34 Additionally, anticancer treatment may worsen cognitive impairment. For various reasons, nearly half of seniors are at risk of malnutrition, which can negatively affect treatment outcomes. A correlation was found between body mass index (BMI) and mortality39 in a study that also assessed weight loss and the reduction of ingested food. In an analysis of 3,047 patients, ECOG found that weight loss before initiating chemotherapy has a negative impact on survival.40 The patient’s nutritional state must be evaluated not only before but also during oncological treatment, since side effects such as nausea and mucositis may disrupt food intake and the loss of appetite and sense of taste, experienced, for example, after radiotherapy, often additionally results in food aversion. Tools such as the malnutrition screening tool (MST),41 malnutrition universal screening tool (MUST)42 and the nutrition risk screening (NRS) tool43 are useful in assessessing nutritional status. The most popular test is the mini nutritional assessment (MNA)44 (or its Short Form [MNA-SF]).45 All of these tests evaluate BMI, weight loss, use of a feeding tube and psychological problems. The assessment of patients’ social and economic situation is often ignored. 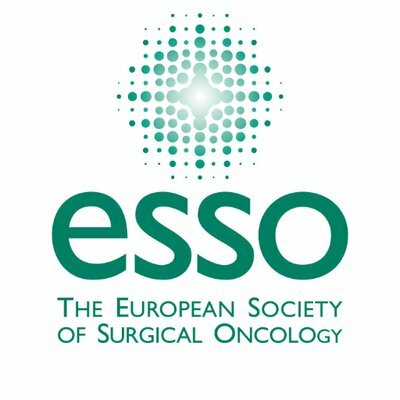 However, it should be borne in mind that the costs of oncological treatment may become a financial barrier for a patient both in terms of access to both optimal treatment and support. Lonely patients are not only at the highest risk of late cancer diagnosis but also experience worse outcomes for radical treatment. Moreover, unsatisfactory financial and social support can lead to psychological problems such as depression and distress, which, in turn, adversely affect both treatment outcomes and satisfaction with outcomes. Thus social workers sensitive to the needs and situation of elderly patients should always be involved in their care in order to identify their needs and address problems that they may experience. Tests used to assess social conditions and measure access to financial assistance and emotional support are the Medical Outcomes Study Social Activity Limitations Measure (MOS),46 the Medical Outcomes Study Social Support Survey: Emotional/Information and Tangible Subscales and Seeman and Berkamn’s Social Ties, which includes four questions concerning family life and close contact with friends and relatives as well as affiliation to a church or other group. Many of these tests are used separately in everyday clinical practice and clinical trials.49,50 Each of the presented tests has proved its clinical value in the detection of frailty as well as enabling screening of patients to facilitate optimal treatment choice. However, geriatric assessment is complex, even in the case of the minimal preliminary assessment of health, it is, therefore, necessary to apply a set of selected tests which will provide a reliable and quick answer to the question: ‘Which patients should undergo detailed CGA assessment?’51 Such a set of tests – a screening tool that could be used by oncologists within the framework of the multidisciplinary team – should be easy and quick to use. It also ought to identify major problems that cannot be detected by physical examination and, finally, have a high negative predictive value in order to exclude the possibility of vulnerability.52–55 The most useful instruments to have been developed and widely-tested are listed in Table 1 and briefly described below. Aparicio used the MGA before conducting full CGA on a sample of 21 patients aged over 75 years undergoing treatment for digestive cancer.56 MGA contains eight simplified modules that evaluate functional, cognitive, psychological, nutrition and social status, as well as co-morbidities, polypharmacy, haemoglobin and creatinine levels and creatinine clearance rates. The results of the test were used to modify oncological treatment with MDT in 47 % of patients. CGA, conducted afterwards, did not change the treatment strategy, only supportive care.56 This test seems to be a useful screening tool, however, it still requires further research on a larger group of patients. The results of two validation studies (the OLD and ONCODAGE studies) are awaited. A second version of this tool was developed at the Moffit Cancer Center (Tampa, FL) as a screening tool for assessing function, psychological, social and cognitive status, as well as nutrition, polypharmacy and quality of life. The test was clinically validated and compared to CGA. Its sensitivity is fair.61 Questionnaires have been translated into French and Spanish. The following tools facilitate therapeutic decision making by measuring the risk of serious complications after a chosen treatment is initiated. A CGA, as recommended by SIOG, remains a gold standard in the evaluation of the health of seniors. It can identify many problems which are not detected in the everyday assessments conducted by oncologists who normally use performance status scales such as the Karnofski Performance Status (KPS) and ECOG to assess the patient’s state of health. A CGA allows for a reliable evaluation of benefits and risks of standard treatment and the selection or modification of cancer treatments according to the findings in the domains assessed.64 The multidimensional nature of this test requires human resources, meaning that, frequently, a full CGA is logistically impossible. This has helped establish a trend for using screening geriatric assessment tools that can identify those patients who require full CGA in the process of treatment strategy planning. This allows for optimisation of oncological care, individualisation of treatment approach and identification of real needs in seniors. This two-stage approach to the assessment of older patients is recommended by SIOG. An interesting approach towards optimisation of geriatric evaluation was presented by Ingram et al. This group prepared a set of tools and self-assessment questionnaires for senior patients based on the Older American Resources and Services (OARS) Program. The study demonstrated that CGA might be reliable even when patients assess themselves,65 although tools exclusively based on self-assessment may be biased, as any health evaluation conducted by patients themselves is subjective. Their advantage, on the other hand, is the ease and speed with which they can be carried out. The selection of the most sensitive tools for use in geriatric health status screening is still the subject of discussion. The literature provides various sets of tests from different domains with sensitivity and predictive values comparable to those of CGA.66 These results of different analyzed tests vary among the researchers. One reason for this might be differences in the research populations due to the exclusion of the oldest and most seriously ill patients from certain research groups. This, in turn, highlights the underrepresentation of seniors in clinical research as well as the lack of large databases covering standard treatment of the elderly. 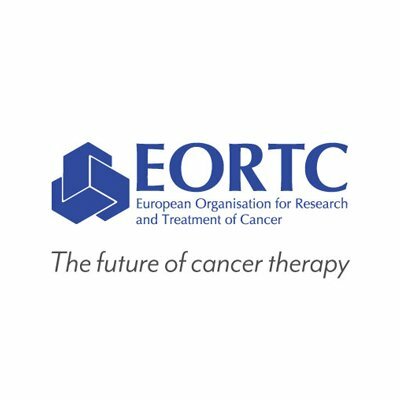 The European Organisation for Research and Treatment of Cancer (EORTC) Elderly Task Force (ETF) group attempted to analyse and elaborate on treatment recommendations for non-small-cell lung cancer.67 Databases similar to those analysed by EORTC would enable the use of bioinformatics tools both to assess the risk of complications typical of old age, and to predict treatment outcomes, and thus would support the process of therapy decision-making. Therapy in seniors needs to be individualised, as several factors may influence treatment outcomes and toxicity in these patients, but in order to develop such an individualised treatment approach, properly designed, dedicated clinical trials are required. 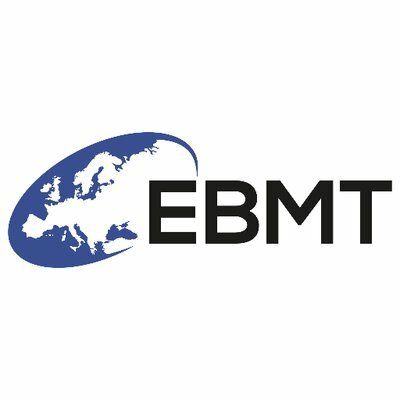 The EORTC ETF Group recently published the results of a workshop on clinical trials methodology in older individuals diagnosed with solid tumors. In their conclusion, the authors presented recommendations regarding endpoints of trials designed for seniors and arrived at a consensus on a recommended set of screening tools, including minimum dataset (MinDS), to use as a baseline geriatric assessment in clinical trials. The MinDS includes the G8, IADL and CCI questionnaires as well as a social situation assessment.68 The authors recommended these instruments because of their simplicity, comprehensiveness and satisfactory results in clinical validation studies.62 Moreover, CCI and IADL predict mortality, are well known and widely used, and have been accepted and validated in many studies. Also there is no doubt that all aspects of a patient’s social situation influence the treatment of older patients.68 Other questions that still need to be answered are: when and how often in the course of treatment should assessment and re-assessment be carried out? How should treatment be modified on the basis of the results of geriatric assessment tests? Will patients experience notable benefits that will translate into commonly-used endpoints such as overall survival or quality of life? Hosmann I, Karsh M, Klingholz R et al., Europe’s Demographic Future, Berlin, Germany: The Berlin Institute for Population and Development, 2008. Horner MJ, Ries LAG, Krapcho M et al. (eds), SEER Cancer Statistics Review, 1975–2006, Bethesda MD: National Cancer Institute. Available at: https://seer.cancer.gov/csr/1975_2006/ (accessed 20 February 2012) based on November 2008 SEER data submission, posted to the SEER web site, 2009. 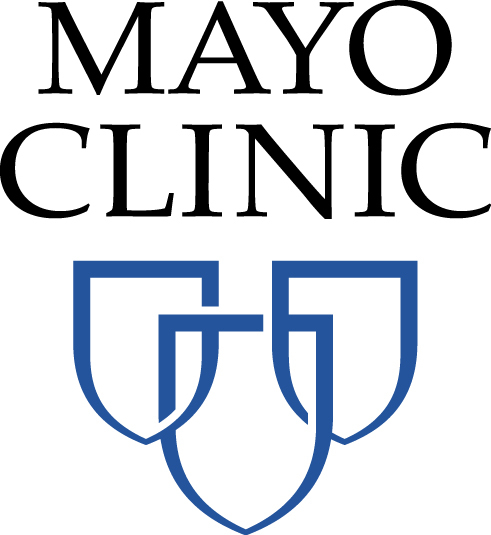 Aparicio T, Navazesh A, Boutron I, et al., Half of elderly patients routinely treated for colorectal cancer receive a substandard treatment, Crit Rev Oncol Hematol, 2009; 71:249–57. 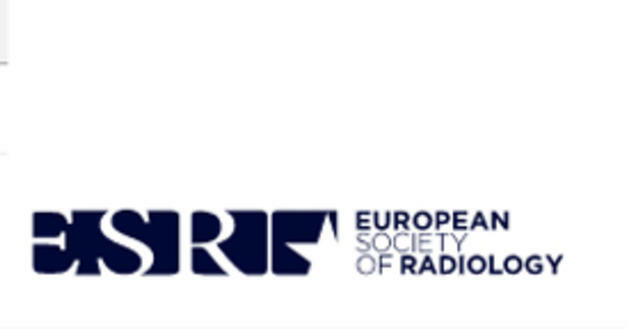 Bastiannet E, de Craen A, Liefers G, et al., Breast cancer survival of elderly women in the Netherlands (1994–2005) [Abstract], Canc Res, 2009;69(24 Suppl.):2052. Lundbrook JJS, Truong P, MacNeil M, et al., Do age and comorbidity impact treatment allocation and outcomes in limited stage small-cell lung cancer? A community-based population analysis, Int J Rad Oncol Biol Phys, 2003;55:1321–30. Vercelli M, Capocaccia R, Quaglia A, et al., Relative survival in elderly European cancer patients: evidence for health care inequalities, Crit Rev Oncol Hematol, 2000;35:161–79. Popa M, Wallace K, Brunello A, et al., The impact of polypharmacy on toxicity from chemotherapy in elderly patients: focus on cytochrome P-450 inhibition and protein binding effects, Proc Am Soc Clin Oncol, 2008;26:503s. 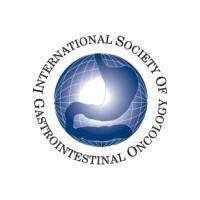 Extermann M, Aapro M, Bernabei R, et al., Use of comprehensive geriatric assessment in older cancer patients: recommendations from the task force on CGA of the International Society of Geriatric Oncology (SIOG), Crit Rev Oncol Hematol, 2005;55:241–52. Extermann M, Hurria A, Comprehensive geriatric assessment for older patients with cancer, J Clin Oncol, 2007;25:1824–31. McCorkle R, Strumpf NE, Nuamah IF et al., A specialized home care intervention improves survival among older postsurgical cancer patients, J Am Geriatr Soc, 2000;48:1707–13. Freyer G, Geay JF, Touzet S, et al., Comprehensive geriatric assessment predicts tolerance to chemotherapy and survival in elderly patients with advanced ovarian carcinoma: a GINECO study, Ann Oncol, 2005;16:1795–800. Maas HA, Janssen-Heijnen MLG, Olde Rikkert MGM et alCGA and its clinical impact in oncology, Eur J Cancer, 2007;43:216–9. Sifer-Riviere L, Sain-Jean O, Gisselbrecht M, What the specific tools of geriatrics and oncology can tell us about the role and status of geriatricians in a pilot geriatric oncology program, Ann Oncol, 2011;22:2325–9. Hurria A, Cohen HJ, Extermann M, Geriatric oncology research in the cooperative groups: a report of a SIOG special meeting, J Geriatr Oncol, 2010;1:40–4. Katz S, Ford AB, Moskowitz RW, et al., Studies of illness in the aged: the index of ADL: a standardized measure of biological and psychosocial function, JAMA, 1963;185:914–9. Lawton MP, Brody EM, Assessment of older people: self-maintaining and instrumental activities of daily living, Gerontologist, 1969;9:179–86. Millan- Callenti CM, Tubio J, Pita-Fernandez S et al., Prevalence of functional disability in activities of daily living (ADL), instrumental activities of daily living (IADL) and associated factors, as predictors of morbidity and mortality, Arch Gerontol Geriatr, 2010;50:306–10. 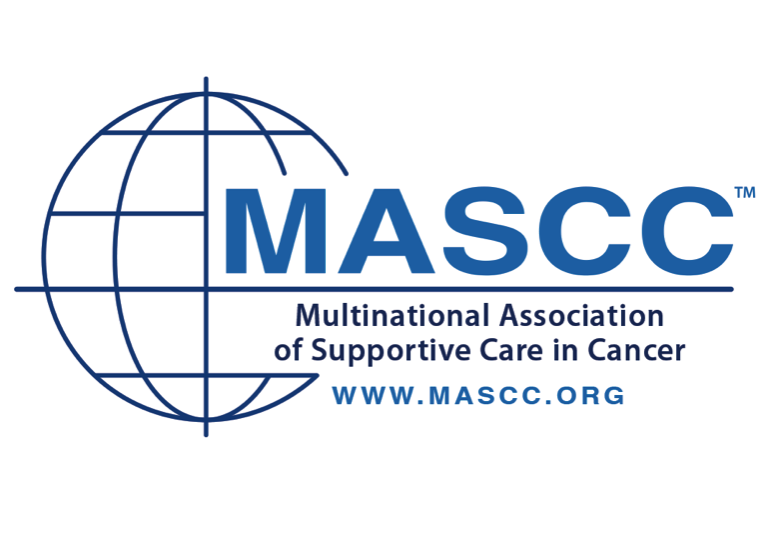 Maione P, Perrone F, Gallo C, et al., Pretreatment quality of life and functional status assessment significantly predict survival of elderly patients with advanced non–small-cell lung cancer receiving chemotherapy: a prognostic analysis of the multicenter Italian lung cancer in the elderly, J Clin Oncol, 2005;23:6865–72. Audisio RA, Pope D, Ramesh HS, et al., Shall we operate? Preoperative assessment in elderly cancer patients (PACE) can help. A SIOG surgical task force prospective study, Crit Rev Oncol Hematol, 2008;65:156–63. Podsiadlo D, Richardson S, The timed “Up & Go”: a test of basic functional mobility for frail elderly persons, J Am Geriatr Soc, 1991;39:142–8. 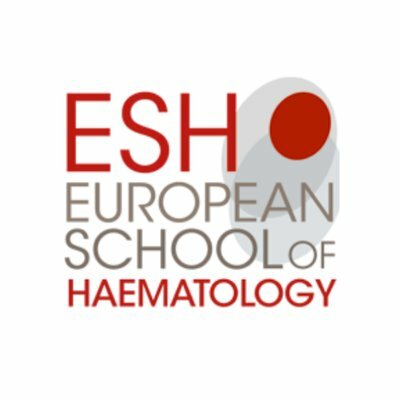 Kikuchi M, Inagaki T, Shinagawa N, Five-year survival of older people with anemia: variation with hemoglobin concentration, J Am Geriatr Soc, 2001;49:1226–8. Corti MC, Guralnik JM, Salive ME, et al., Serum albumine level and physical disability as predictors of mortality in older persons, JAMA, 1994; 272:1036–42. Cohen JH, Harris T, Pieper CF, et al., Coagulation and activation of inflammatory pathways in the development of functional decline and mortality in the elderly, Am J Med, 2003;114:180–7. 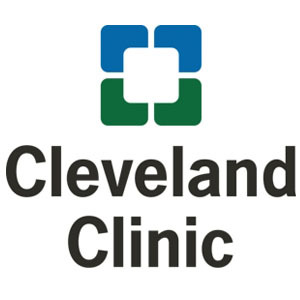 Extermann M, Overcash J, Lyman GH, et al., Comorbidity and functional status are independent in older cancer patients, J Clin Oncol, 1998;16:1582–7. Piccirillo JF, Tierney RM, Costas I, et al., Prognostic importance of comorbidity in a hospital-based cancer registry, JAMA, 2004;291:2441–7. Gross CP, Guo Z, McAvay GJ, et al., Multimorbidity and survival in older persons with colorectal cancer, J Am Geriatr Soc, 2006;54:1898–904. 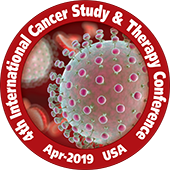 Perez EA, Suman VJ, Davidson NE, et al., Cardiac safety analysis of doxorubicin and cyclophosphamide followed by paclitaxel with or without trastuzumab in the North Central Cancer Treatment Group N9831 adjuvant breast cancer trial, J Clin Oncol, 2008;26:1231–8. 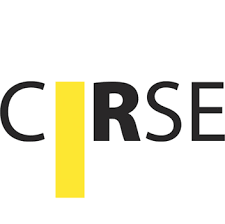 Suter TM, Procter M, van Veldhuisen DJ, et al., Trastuzumab-associated cardiac adverse effects in the herceptin adjuvant trial, J Clin Oncol, 2007;25:3859–65. Extermann M, Measuring comorbidity in older cancer patients, Eur J Canc, 2000;36:453–71. Cohen M, Reuben D, Nacim A, Assessing the older cancer patient. In: Hurria A, Balducci L (eds), Geriatric Oncology, New York: Springer Science Business Media 2009;17–45. Zigmond AS, Snaith RP, The hospital anxiety and depression scale, Acta Psychiatr Scand, 1983;67:361–70. Sheikh J, Yesavage JA, Geriatric Depression Scale (GDS). Recent evidence and development of a shorter version, Clin Gerontol, 1986;5:165–71. Beers MH, Explicit criteria for determining potentially inappropriate medication use by the elderly: an update, Arch Intern Med, 1997;157:1531–6. Plassman BL, Langa KM, Fisher CG, et al., Prevalence of dementia in the United States: the aging, demographics and memory study, Neuroepidemilogy, 2007;29:125–32. Nasreddine ZS, Philips NA, Bedirian V, et al., The Montreal Cognitive Assessment, MoCA: a brief screening tool for mild cognitive impairment, J Am Geriatr Soc, 2005;53:695–9. Retornaz F, Monette J, Batist G, et al., Usefulness of frailty markers in the assessment of the health and functional status of older cancer patients referred for chemotherapy: a pilot study, J Gerontol, 2008;63A:518–22. Inouye SK, Van Dyck CH, Alessi CA, et al., Clarifying confusion: The Confusion Assessment Method. A new method for detection of delirium, Ann Intern Med, 1990;113:941–8. Monette J, Galbaud du Fort G, Fung SH, et al., Evaluation of the confusion assessment method (CAM) as a screening tool for delirium in the emergency room, Gen Hosp Psych, 2001;23:20–5. Reynolds MW, Fredman L, Langenberg P, et al., Weight, weight change, mortality in a random sample of older community dwelling women, J Am Geriatr Soc,1999;47:1409–14. DeWys WD, Begg C, Lavin PT, et al., Prognostic effect of weight loss prior to chemotherapy in cancer patients, Am J Med, 1980;69:491. Ferguson M, Capra S, Bauer J, et al., Development of a valid and reliable malnutrition screening tool for adult acute hospital patients, Nutrition, 1999;15:458–64. Stratton R, Longmore D, Elia M, Concurrent validity of a newly developed malnutrition universal screening tool (MUST), Clin Nutr, 2003;22:S10. Kondrup J, Rasmussen HH, Hamberg O, et al., Nutritional risk screening (NRS 2002): a new method based on an analysis of controlled clinical trials, Clin Nutr, 2003;22:321–36. Vellas B, Villars H, Abellan G, et al., Overview of MNA® – its history and challenges, J Nut Health Aging, 2006;10:456–65. Rubenstein LZ, Harker JO, Salva A, et al., Screening for undernutrition in geriatric practice: developing the shortform Mini-Nutritional Assessment (MNA-SF), J Gerontol A Biol Sci Med Sci, 2001;56:M366–72. Sherbourne CD, Stewart AL, The MOS social support survey, Soc Sci Med, 1991;32:705–14. Fried LP, Tangen CM, Walston J, et al., Frailty in older adults: evidence for a phenotype, J Gerontol A Biol Sci Med Sci, 2001;56:M146–56. Graham JE, Rockwood K, Beattie BL, et al., Standardization of the diagnosis of dementia in the Canadian Study of Health and Aging, Neuroepidemiol, 1996;15:246–56. Klepin H, Mohile S, Hurria A, Geriatric assessment in older patients with breast cancer, J Nat Comp Cancer Network, 2009;7:226–36. Chen H, Cantor A, Meyer J, et al., Can older cancer patients tolerate chemotherapy? A prospective pilot study, Cancer, 2003;97:1107–14. Extermann M, Basic assessment of the older cancer patient, Curr Treat Options Oncol, 2011;12:276–85. Kellen E, Bulens P, Deckx L, et al., Identifying an accurate pre-screening tool in geriatric oncology, Crit Rev Oncol Hematol, 2010;75:243–8. Pallis AG, Wedding U, Lacombe D, et al., Questionnaires and instruments for a multidimensional assessment of the older cancer patients: what clinicians need to know? Eur J Cancer, 2010;46:1019–25. Hurria A, Lachs MS, Cohen JH, et al., Geriatric assessment for oncologists: rationale and future directions, Crit Rev Oncol Hematol, 2006;59:211–7. Aparicio A, Girard L, Bouarioua N, et al., A mini geriatric assessment helps treatment decision in elderly patients with digestive cancer. A pilot study, Crit Rev Oncol Hematol, 2011;77:63–9. Overcash JA, Beckstead J, Moody L et al., The abbreviated CGA for use in the older cancer patients as a prescreen: scoring and interpretation, Crit Rev Oncol Hematol, 2006;59:205–10. Lachs M, Feinstein AR, Cooney ML, et. al., A simple procedure for general screening for functional disability in elderly patients, Ann Intern Med, 1990;112:699–706. Mohile S, Bylow K, Dale W, et al., A pilot study of the Vulnerable Elders Survey-13 compared with the Comprehensive Geriatric Assessment for identifying disability in older patients with prostate cancer who receive androgen ablation, Cancer, 2007;109:802–10. Falci C, Brunello A, Monfardini S, Detecting functional impairment in older patients with cancer: is Vulnerable Elders Survey -13 the right prescreening tool? An open question, J Clin Oncol, 2010;28:e665–6. Extermann M, Green T, Tiffenberg T, et al., Validation of the Senior Adult Oncology Program (SAOP) 2 screening questionnaire, Crit Rev Oncol Hematol, 2009;69:185. Soubeyran P, Bellera C, Goyard J, et al., Validation of the G8 screening tool in geriatric oncology: The ONCODAGE project [abstract], J Clin Oncol, 2011;29(Suppl.):9001. Extermann M, Boler I, Reich R, et al., Predicting the risk of chemotherapy toxicity in older patients: The Chemotherapy Risk Assessment Scale for High-Age Patients (CRASH) score, Cancer, doi: 10.1002/cncr.26646. 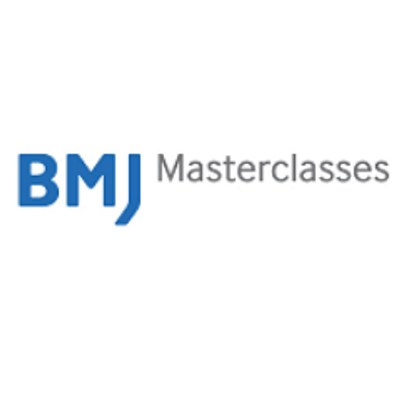 Balducci L, Extermann M, Management of cancer in the older person – a practical approach, Oncologist, 2000;5:224–37. Ingram SS, Seo PH, Martell RE, et al., Comprehensive assessment of the elderly cancer patient: the feasibility of self -reported methodology, J Clin Oncol, 2002;20:770–5. Hurria A, Gupta S, Zauderer M, et al., Developing a cancer-specific geriatric assessment. A feasibility study, Cancer, 2005;104:1998–2005. 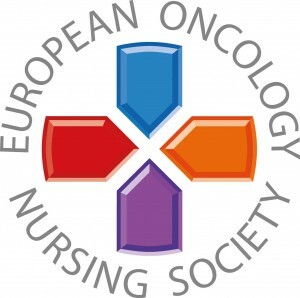 Pallis AG, Gridelli C, van Meerbeeck JP, et al., EORTC Elderly Task Force and Lung Cancer Group and International Society for Geriatric Oncology (SIOG) experts’ opinion for the treatment of non-small-cell lung cancer in elderly population, Ann Oncol, 2010;21:692–706. 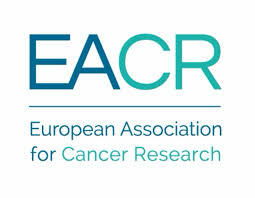 Pallis AG, Ring A, Fortpied C, et al., EORTC workshop on clinical trial methodology in older individuals with diagnosis of solid tumors, Ann Oncol, 2011;22:1922–6. How Should We Treat Elderly Newly Diagnosed Multiple Myeloma Patients?